The ICOMOS International Polar Heritage Committee and Polar Archaeology Network conference was held in Hobart, Australia on 09 -11 March 2012. 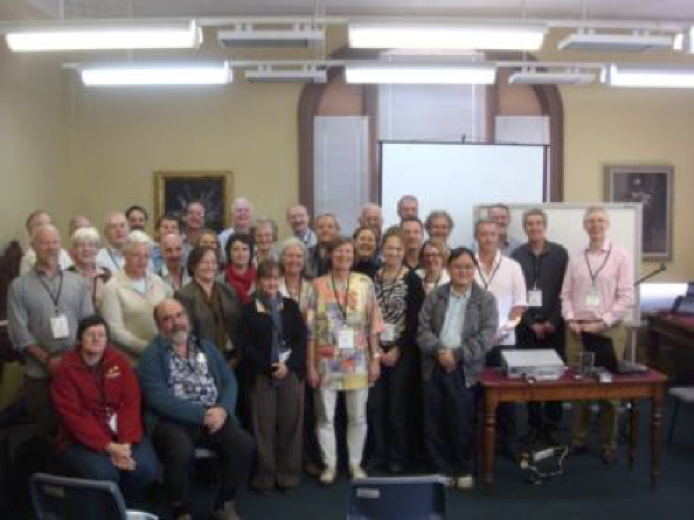 The ICOMOS International Polar Heritage Committee held its meeting and an open conference in Hobart, Australia in March 2012. The meeting and conference was timed to coincide with a series of commemorative events in Hobart to mark the centenary of Roald Amundsen’s return to Hobart after the attainment of the South Pole. The meeting and conference was held at the Tasmanian Museum & Art Gallery in Hobart, with the conference dinner in the spectacular setting of Peppermint Bay. A number of events celebrating Hobart’s links with Antarctic heritage also took place. The focus of the conference was to bring together interested parties to discuss the conservation challenges and share solutions in uncontrolled environments, as well as improving linkages and encouraging opportunities for collaborations particularly with the science community to benefit broader conservation practice. In addition it was proposed that the opportunity for dialogue with scientists will enable linkages to be explored between current polar research and the scientific investigations which underpinned so much early polar exploration. Click to view The Hobart Aspiration which outlines the principles agreed at the final session.